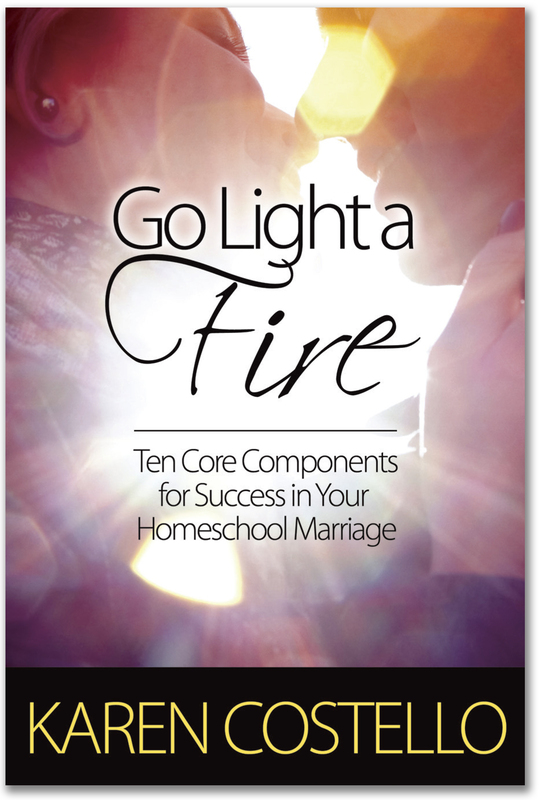 Since we began homeschooling 32 years ago, we have witnessed numerous couples go through the break-up of their marriages. The specific stresses inherent to a homeschooling family coupled with the reality of a husband working the equivalent of two jobs to enable the wife to stay home to teach can make for a potentionally devastating outcome of isolation, misunderstanding, and loneliness. 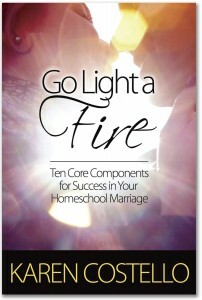 Hearing that phrase “I’m done” so many times in our counseling led to us writing a marriage book specifically for homeschooling couples. This short ( you’re welcome :)) yet profound and practical book will give you strategies for resolving conflict, frugal ideas for actually getting away from the never-ending demands of home education, and HOPE for the weary. The last bonus chapter is written exclusively for husbands ( Tim says if your wife can read ten chapters, the least you can do is read ONE!). Worked out over 39 years of marriage and 32 years of homeschooling, it may be the most helpful advice anyone has ever given a homeschooling father and husband. Buy it alone for $14 or combine it with Karen’s book Go Fly A Kite (highlighted in World Magazine) for $25. Click here to order.